On a sunny afternoon, Christine Maedke stands at the front of her classroom, sorting her 10 students into groups before sending them running outside. The pupils settle into distinct huddles on the patio, hunched over what appear to be miniature solar-panel kits. “Do we have D batteries?” one child asks. “It’s solar­—you don’t need them!” another calls back. For this particular task, she has quietly organized her students according to their ability levels. Each group might include kids from grades three, four or five, but she has matched them according to which kids are most likely to aid one another’s growth as scientific thinkers. “Grade levels are really fairly arbitrary,” says Maedke, explaining that Gold Hill teachers try to support students by incrementally expanding what they’re capable of doing, pushing each student forward without teaching too far above their current developmental level. Because her class spans three grades, kids can easily swing up or down the difficulty levels on a subject-specific basis. More often than not, they swing up. These kids’ parents aren’t paying a dime for their boutique education, and Maedke doesn’t work at a private school. She and Natalie Littlefield are the only teachers at Boulder Valley School District’s Gold Hill Elementary School, a two-classroom schoolhouse in the historic mining town of Gold Hill, perched above Sunshine Canyon. The “heart of the heart of town,” the Gold Hill school has operated in its original building for 144 years. The 26-student schoolhouse is a sister school to Jamestown Elementary School, another centenarian BVSD institution. 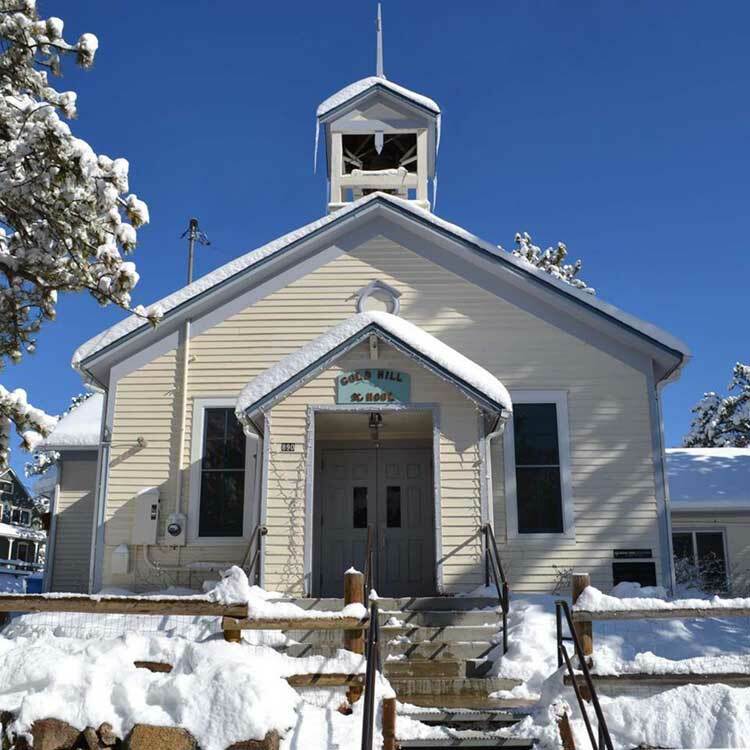 Unlike Gold Hill, the Jamestown school has hopped buildings over the course of its long life in the mountains above Boulder. From a modest log cabin on the west end of town in the late 1800s, Jamestown Elementary settled into its current two-classroom building in 1954. Fashioned from converted Army bunkers, it provides ample room for the school’s 19 K-5 students. 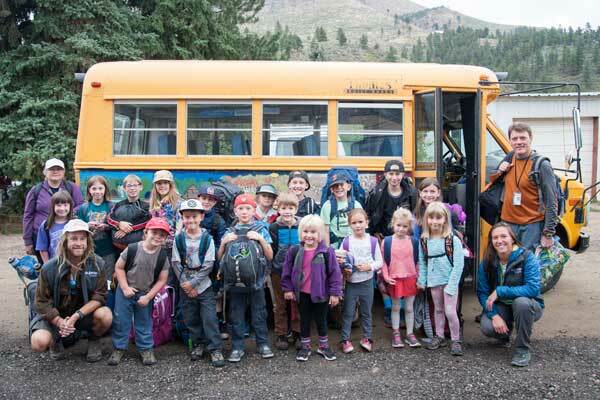 Both BVSD mountain schools are characterized by an intimate, family-like culture. At both schools, all six grades work together on hands-on educational projects, often outdoors. “Youngers” and “olders,” to use the schools’ parlance, help one other—and play and argue—like siblings. After the 2013 floods, Jamestown’s entire student body was tasked with repairing a riparian area ravaged by the deluge. The kids tended the soil along the banks of James Creek and planted more than 600 native seedlings. 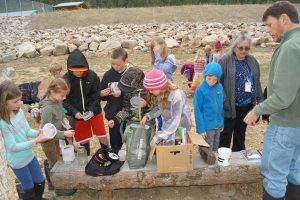 The project has instilled a sense of environmental stewardship in the students—it’s still an informal focus for the school—and serves as a jumping-off point into core subjects like life sciences, math and writing. Four years later, the kids are still tracking the creek banks’ recovery. Wildlife cameras secured by various grants allow the students to observe the return of species that indicate overall ecosystem health. They see the fruits of their labors, get a taste of scientific observation, and have an inspiring subject to journal about for their frequent writing assignments. “We want to make sure these kids have unique opportunities in a school like this that they might not be able to have in Boulder or Longmont,” says Patrick Griffin, who teaches grades three, four and five at Jamestown Elementary. Griffin and his colleague Gay Paxton, who teaches kindergarten through second grade, feel their school’s small size allows them to cater to their students, even though the two of them must plan and teach across three separate grade levels. For students, the individualized instruction often means they’re pushed further at a younger age. “A lot of times we’re finding these kids are working above the benchmarks,” Paxton says. Gold Hill and Jamestown test scores can’t be published due to student privacy laws, but Paxton says meeting and exceeding grade-level standards is a non-issue, because each of her students gets plenty of one-on-one teaching time. Gold Hill teachers feel the same way. They too employ schoolwide projects to get the kids outside and into their core subjects. 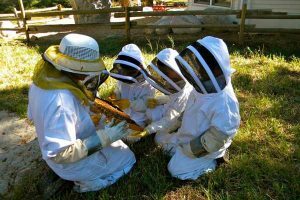 This year, all 26 K-5 children are raising honeybees and studying at least some of their subjects through the lens of pollinator health. Students care for the bees, harvest their honey and wax, and make salves and candles from what they collect (you can buy some at the Gold Hill General Store). 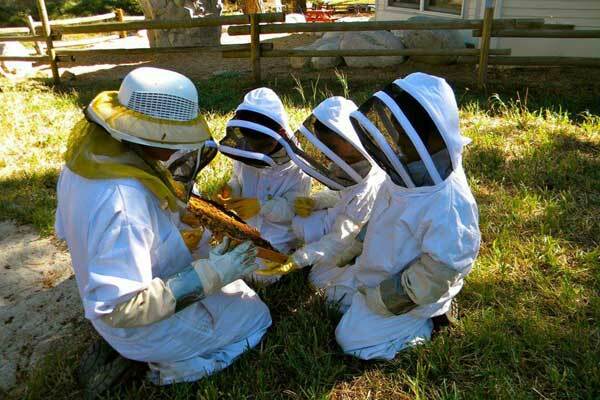 They gather scientific observations on the bees and journal about their experiences working with them. They create artistic representations of the bees’ life cycle, physiology and pathology. They even put together presentations on pollinator health and deliver them to community groups. But exactly how each child participates is unique to the pupil. 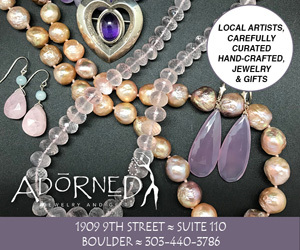 Haley Gray is a Boulder-based freelance writer. 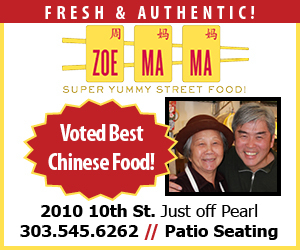 A former Brock Media staffer, she has also contributed to Roads and Kingdoms, 5280 and the Albuquerque Journal. Previous articleIs it realistic to believe that CU football can get to the next level in 2017?